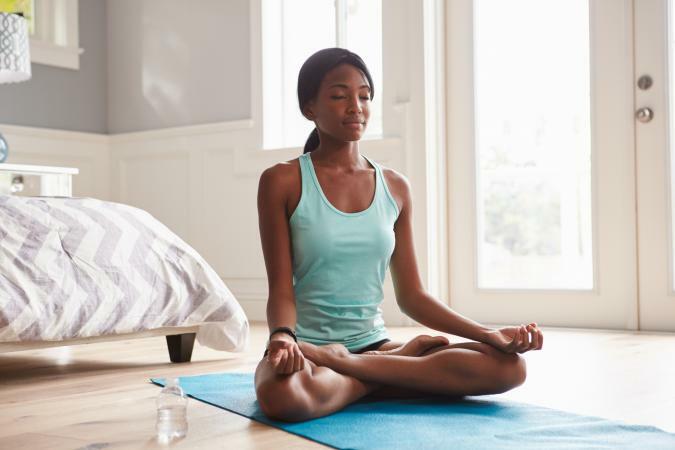 If you're looking for the best yoga postures for balancing hormones, there are a number to consider. Both men and women can benefit from performing hormone-balancing poses. 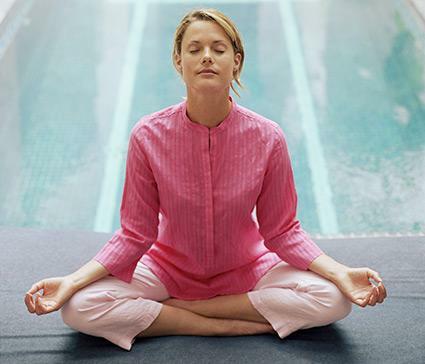 However, some new mothers find these postures particularly helpful to relieve symptoms of post-partum depression. This pose stimulates the thyroid and parathyroid. It also helps with depression. Start by sitting on your heels in Hero Pose. Extend the arms back and grasp the soles of the feet. Tuck the chin to the chest as you round forward, hinging at the hips and dropping the head to the floor, forehead touching the knees. Lift the hips as you rest the crown of the head on the floor. Rest comfortably for a few breaths. Combined with Paschimottanasana (below), these two poses balance blood sugar and stimulate the thymus, thyroid, kidneys, and pancreas. Lift your right knee and hold with both hands. Inhale, then exhale. On your next inhale, move your hands down to hold the right foot, and on the exhale, kick out the right leg. Hold your right leg out at a 90-degree angle. Drop your elbows alongside the calf as you lower your head to your knee. Hold for two breath cycles before releasing to the other side. Beginners will probably feel more comfortable simply holding the knee close to the torso or only doing Paschimottanasana. Start in Staff Pose, feet flexed. Hinge forward at the hips, walking your hands down your legs, keeping your back flat. Rest with your hands alongside your legs for five breaths. Return to Staff Pose slowly, with control, walking your hands back up your legs. Slow, deliberate breathing reroutes hormonal signals and calms the adrenal gland to reduce stress and help alleviate post-partum depression. Sit on a folded blanket at least two-inches thick, preferably higher. Cross your legs at the shins and rest your hands in your lap, palms up. Keep your posture straight, but let your pelvis relax. Inhale and extend your chin and spine forward, then quickly exhale, rounding your back. Repeat this sequence, following the rhythm of your breath, for 30 seconds. This helps to stimulate the pituitary and pineal glands. Bring your palms together in Pranam Mudra, thumb knuckles pressing against your sternum. Rotate your thumbs to the right, down, up the left and return to center. Repeat. 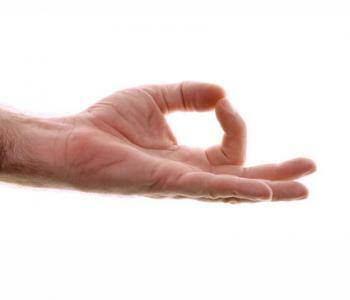 Next, open your hands, thumb and index fingers together in Gyan Mudra. Press the fingertips together. Then, press the middle fingers and thumbs together, the ring fingers and thumbs, the pinky fingers and thumbs, and return to index fingers and thumbs. Let your motion follow your breath and repeat the sequence for up to two minutes. The endocrine system regulates the human body. This complicated network "talks" to the other systems within the body to control everything from growth and development to how energetic a person feels. Hormones are special chemicals produced, stored, and distributed by glands and organs within the body. The endocrine system controls this process. Some people believe by doing yoga poses that stimulate and/or activate certain glands and organs, the practice helps to maintain hormone balance and consistent production and distribution. If you develop a full body yoga practice of standing and sitting postures, along with some inverted poses and backbends, you'll engage all the glands and organs responsible for hormone development and distribution. Try to vary your practice not only in length, but also in the sequence of postures, at least three days a week to receive the complete benefits of hormonal balance.